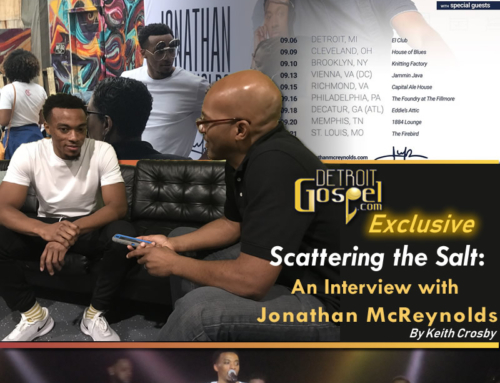 The following is an interview that Detroit Gospel.com conducted with Leon Jones from The Resurrection in early 2006. In the photo shown below, James Michael Burse, who passed away in November 2006, is the first gentleman on the left. Their soulful, quartet-like renditions have earned Detroit gospel group, The Resurrection, the label of the “Temptations of Gospel Music.” Detroit Gospel.com talked with group member, Leon, about the group’s musically diverse background and their appeal to a wide spectrum of listeners. DG.com: What inspired you to develop a singing group? DG.com: Who are some of the artists that have influenced your musical career? Leon: Of course, the Motown artists, the Temptations. I’m not saying inspired, but I mean the professionalism, the precision on and off stage, and Berry Gordy with his ingenuity, his willingness to develop artists to articulate what they are feeling through song. That’s what they promote. DG.com: What category would you say that The Resurrection’s music falls under? Leon: We’ve been called an R&B group because of the choreography and the precision of it, and the sound itself, of course. We sang in night clubs, that’s how we learned how to sing really. We used the various techniques. People call us the “Temptations of Gospel Music.” I guess they see some resemblance there. I consider that an honor. DG.com: Have you found any particular audience to be more of a challenge to perform in front of? Leon: To be perfectly honest, no, because music is universal. I think if you understand the dynamics of music, you are able to connect, I think wherever you go, as in our case, The Resurrection. We’ve been able to play to predominantly White audiences and mixed. I think that can be attributed to our early days as vocalists and musicians in the R&B field. DG.com: Are there any kinds of community service projects that your group has contributed your ministry to? Leon: As a result of our background, we have toured all over the country, going into prisons, youth homes, and community centers, sharing our story that life doesn’t end because you make a mistake. You really have to focus in on bettering yourself and making a positive contribution. Of course, that is our story and we share that with different kinds of venues. DG.com: What new projects are you currently working on for The Resurrection? Leon: Currently we have a new project called “Nothing New Under The Sun.” People can go to our website [www.theeresurrection.com] to hear a snippet of it. “Nothing New Under The Sun,” is saying that God is not impressed with your risk; he’s heard them all. We are doing what we feel God has given us to do with our music in front of the audience, that He has placed [before us]. That’s the project we are currently working on. DG.com: Do you have a projected release date? Or is it something new in the studio? Leon: No, …we’re in negations now with a record label and it would really be up to them when this project would be released. DG.com: That’s wonderful. We definitely have you in our prayers, and our thoughts are with you that things will work out. Of course, whatever is God’s will that is for us, will work out. DG.com: It there anything else that you’d like to share with us? Leon: Yes, Resurrection is really about love, peace, and happiness. It’s not about us as individuals, or collectively as The Resurrection vocal group. I think this applies to anyone who embraces the gospel, that it begins to be about the person we represent. We use the platform we have, … similar to what you guys are doing to spread the gospel. It may be through a song, standing up through a group of men and or women, who have been through a similar situation that we’ve had and can’t seem to get out of it. We say God should get the glory, we should understand that whatever platform we have, God is entrusting it to us. At the end of the day it’s whether we’ve been faithful or unfaithful stewards. In whatever the platform may bring us, in my own personal opinion, it’s about what we’ve decided to be about, the person who has elevated us, and that’s God. DG.com: That’s an awesome thought; theology about it; the way you look at things. We do appreciate you taking time out of your busy schedule to share with us about The Resurrection. We are looking for bigger and better things from you. 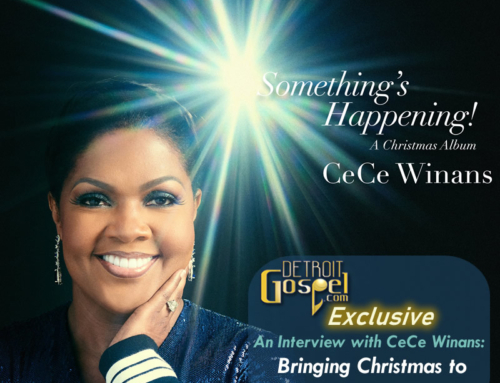 Of course if there’s anything Detroit Gospel.com can do for you, please don’t hesitate to let us know. Leon: We appreciate everything that you’ve done. Keep up the good work.